Besides renewable and sustainable energy use, the other element of solar investment that appealed most to Australians was the attractive solar rebates offered to households selling excess power back to the main grid. Thanks to these rebates, over 1.5 million Australian households have installed solar systems. One of the long-standing Government incentives initiated to kick-start the Australian Solar Industry finally got phased out on January 1 2017. The solar rebate popularly referred to as STC’s (Small-scale Technology Certificates) contributed significantly to increased uptake of solar throughout Australia. Using a Small-scale Technology Certificates system, this rebate offered Australians who installed solar panels for the first time a discount on the upfront cost of the solar system, hence tempting more Aussies to go solar. The first reduction began on January 1 2017 with the solar rebate reducing by one-fifteenth of the current amount. This will be the case on the first day of January each subsequent year to 2030, finally ending on December 31 that year. In essence, at the beginning of 2017, the rebate of $3,990 received by Australians for a 5 kW rooftop solar panel system was reduced by about $266 to $3,724. Following the windup of these feed-in tariffs (FiT) at the fall of 2016, most Australian households will now earn few dollars per kWh, potentially resulting in a case of shocking electricity bills. The state’s subsidised Premium (paying 60c/kWh) and Transitional (paying 20c/kWh) FiT were completely stamped out on December 31 2016. That means starting January 1 2017, FiT in New South Wales will be fully depended on energy providers’ discretion, who may choose not to offer any FiT. This situation could see NSW households lose out to a tune of $4,000 on their annual income, based on their overall solar production. Victoria’s Transitional feed-in tariff which offered up to 25 cents per kWh ended on December 31 2016. Luckily, Victorian solar customers won’t be left entirely in darkness since retailers in the state have been compelled to give a minimum payment of 5c/kWh from January 1 2017. However, since this is equivalent to one fifth of the original offer, it can only be likened to a poor consolation prize. Households that registered with the Premium FiT tariff scheme before December 29 2011 will continue to receive 60c/kWh until November 1 2024. Queenslanders got lucky this time around. As the Energy Minister Mark Bailey promised in 2016, the state’s solar feed-in tariffs haven’t been impacted by the latest changes. Those who applied to the Sunshine State’s Solar Bonus Scheme will continue to receive 44c per kWh on their solar power until July 1 2028. Households in South Australia experienced a drop in their minimum feed-in tariff to a mere 6.8c per kWh in September 2016; and unfortunately, even that meagre payment is no longer available. 2017 will see retailers in SA offer a feed-in tariff to affected households despite the absence of a set minimum. Other South Australians should have no worries given that customer Group 1 (approved by August 31 2010) would continue receiving 44c/kWh until June 30 2028, the same for Customer Groups 2 and 3 which were approved by 30 September of 2011; however, this would only be on the first 45 kWh exported to the grid each day. The schemes in ACT include the small-scale FiT for 0-30 kW and which paid 47.5c/kWh; Medium-scale FiT for panels ranging between 30-200 kW (paid 30.16c/kWh) and large-scale FiT for panels with over 200 kW. The small-scale FiT was closed on May 31 2011 while the medium-scale was later expanded temporarily to feature small-scale but was closed on July 14 2011. The scheme’s payments cease 20 years after the date of installation. The current rate paid to new solar households features voluntary contribution by retailers towards small & medium scale schemes. There is no minimum solar payment. The large-scale FiT in this state is still active, with a rate that is determined on a project-by-project basis using reverse auction FiT. The Solar Buyback through PowerWater is the only rebate in the state. There’s no stipulated date when the payments will cease. 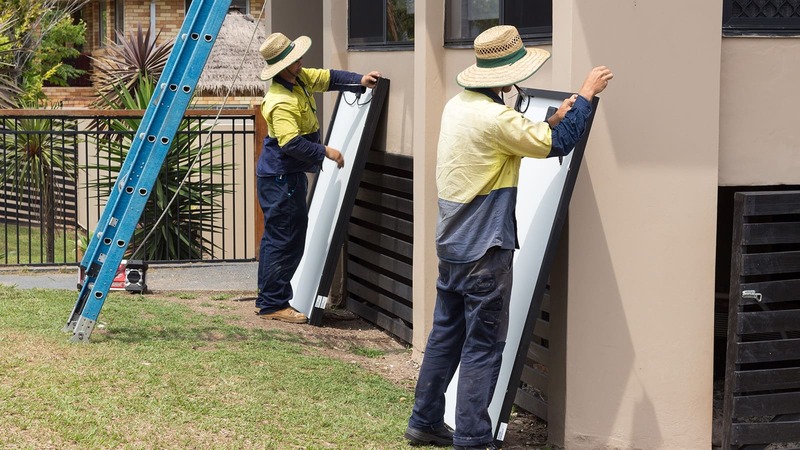 Note: PowerWater provides one of the most generous solar feed-in incentives in Australia, hence giving little incentive to entice grid-connected solar households into investing in storage batteries at this juncture. The rebate schemes in the state are namely Aurora Energy Net Metering Buyback Scheme; Transitional Feed-in Tariff. The historic rates paid for the scheme include a 1-for-1 which is equivalent to retail tariff rate made through Aurora Energy ( for applications received by August 31 2013). Payments to participants will cease on December 31 2018. New solar households are currently paid a rate determined by the regulator and which ranges between 5-7c/kWh. Remarks: The announcement to close the Aurora Energy’s solar buyback scheme to new applicants sparked a surge in solar installations in the state, even though Tasmania’s solar market has always been small due to its lower solar resources and a generally smaller population. Energy storage could become financially viable for solar homes registered with the Transitional FiT once this benefit ceases at the end of 2018. The historic rates paid to applicants is 40c/kWh (for homes that applied by July 1 2011); 20c/kWh (applications made between July 1 2011 and August 1 2011). An extra 7c/kWh ‘solar buyback’ was also available for Synergy customers. Payments received from the scheme cease 10 years from the date of installation. Currently, new solar homes receive a rate that differs sharply by region for Horizon Customers, with Synergy offering about 5-8c/kWh. When it comes to energy storage, WA is more of a wildcard. FiT payout usually has longer durations, and despite the existence of generous solar buybacks on offer across various areas, the sprawling Horizon grid provides very stringent requirements for solar connections to the grid. And with the skyrocketing retail electricity prices, solar households will find it worthwhile getting an energy solution to help them generate and store their own solar power. 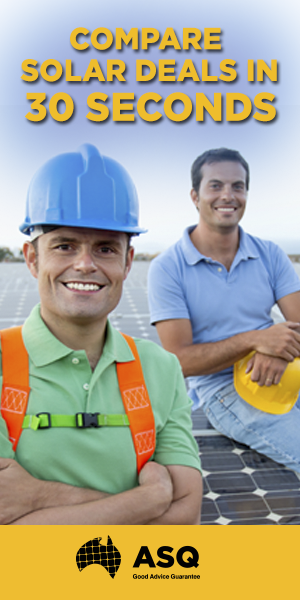 If you would like a more information on what rebates are available to you, contact Australian Solar Quotes on 1300 303 864 to get quotes from three different solar installers in your area. Over the past 4 years, the cost of Solar Panels has declined by an average of 15 per cent. In other words, the rebate will eventually lower the amount of money you save; BUT your savings on electricity might predictably increase by 9 per cent every year. 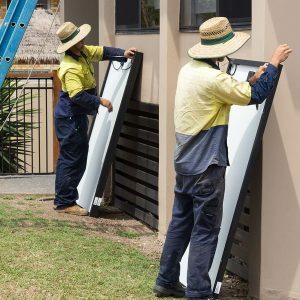 Despite decreases in solar rebates, there are ways through which Aussie households can still make the most of their solar systems. Here are three things you can do to mitigate your high power bills in the wake of declining feed-in tariffs. Instead of exporting your solar power to the grid for a negligible return, you can choose to power your day-to-day energy demands instead. How? Well, you can set timers to use power-hungry appliances like washing machines and dishwashers during the day when solar energy production is at its peak. This will allow you to eventually slash your energy bill, and the rebate or feed-in tariff won’t make much economic sense. Tesla and BMW are two companies that have fast gained popularity in the solar market thanks to their innovative home battery systems that enable Australian households to conveniently store their excess solar energy and use it around the clock, incredibly reducing their energy bills. Since solar energy can reduce your dependence on the grid, the energy storage solution is worth your consideration. Even though the initial cost of the storage battery system can be steep, it would be prudent to weigh that upfront cost against any potential ongoing savings. Regularly evaluate your energy plan to ensure it gives you the best value. For Australian households with solar systems, this means comparing your existing plan with that of the best solar energy retailers in your state. You can also compare the entire energy market with Australian Solar Quotes’ 3 Free Quotes alternative. All you have to do is indicate whether you’ve already installed solar panels or not, and then enter your average solar feed-in per day to get a more accurate result. Want to learn more about solar power and find out how you can avoid heightening electricity bills? Click here and find out how you can save. Over 200,000 Australians have switched to solar with Australian Solar Quotes.